Many homeowners make a huge mistake of overlooking garage door maintenance, in addition to a professional inspection every 24 months. 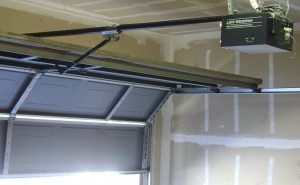 However, garage doors which are neglected will put a great deal of stress on the automatic door opener which in turn means that the garage door opener will soon fail. It goes without saying that putting in 120 minutes of work during early spring and sometime late fall can help many homeowners save hundreds of dollars in repairs. 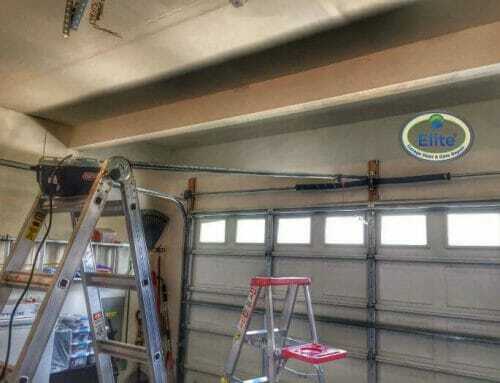 If you are a homeowner and want to ensure that your garage door continues to work flawlessly, the good news is that DIY door maintenance isn’t difficult but can be highly effective. You will want to inspect the tracks or the rails on either side of the garage door. Make sure it is free from rust and debris. A level check can be purchased from a local hardware store to check if the tracks are flush and vertical. While you can and should make slight adjustments if they aren’t even or flush, major adjustments should be left up to the professionals. 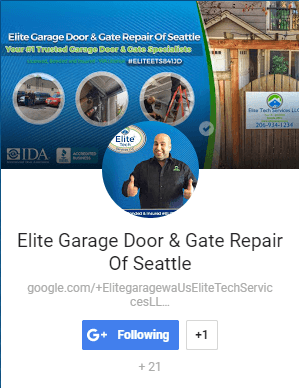 Your typical garage door will go through multiple cycles a day, amounting to hundreds of cycles a year. That vibration associated with the door opening and closing will loosen the hardware. You will want to examine the brackets that fasten to the tracks and the opener to the framing bracket. 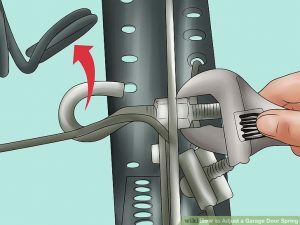 Use a standard socket wrench to tighten any bolts which may appear to be loose. You will want to check the condition of the pulleys and cables that attach to the springs. Do not touch the springs or the cables for that matter as they are high tension parts and very dangerous. Though you can visually look for broken strands, wear, and rust. If you see any of that call us! 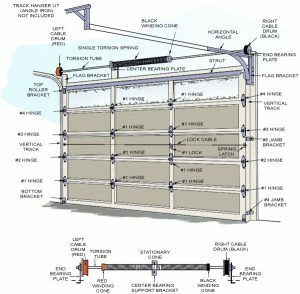 One way to ensure the smooth operation of your garage door is to ensure that the rollers, as well as other moving parts, are well lubricated. 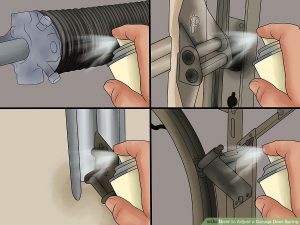 A well-lubricated part puts less stress on the rollers and will prolong their life. You will want to use a penetrating lubricant like WD-40, twice a year. If any hinges or rollers seem stuck, you can try using kerosene, and a small brush like a toothbrush to clean them. Steel wool also works perfectly to remove rust. You will also want to lubricate the extension spring openers’ pulleys and the torsion spring’s bearings. If the torsion spring appears rusty a dab of oil should help. 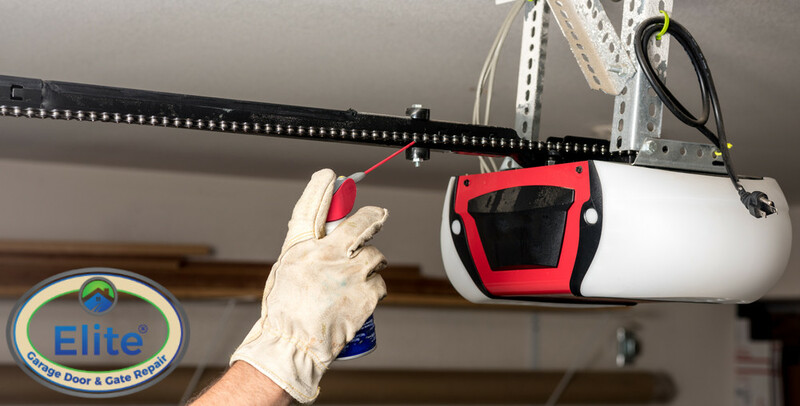 If the garage door opener has a metal chain use white lithium grease on the chain though you will want to avoid lubricating a belt driven opener as part of your garage door maintenance procedure. 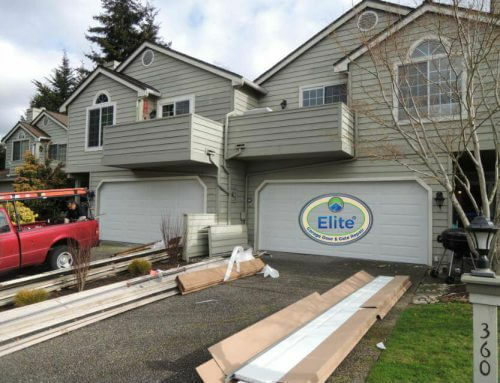 As you can see DIY garage door maintenance does not take very long and will not cost you a lot. However, if you don’t have the time or are mostly away the next best thing is to hire a team of professionals like us.